“I turned into a savage,” he recalled in a 2016 interview. “If I didn’t get shot I’d be dead or in jail.” Hugely successful rap star '21 Savage' was pinched in Atlanta because he was in the US illegally. 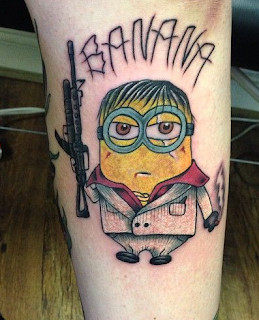 With the dagger tattoo between his eyes he appeared either a prison thug or a white supremacist. 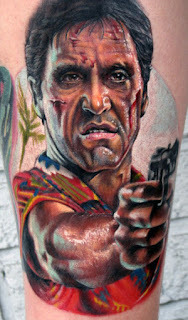 He said the inspiration was Tony Montana’s blade tattoo in Scarface. His real name is Sha Yaa Bin Abraham-Joseph and his visitor visa expired in 2006. When first arrested in America, his grandma came to bail him out. His UK family is very solidly working class. In an interview in 2016, he painted a grim and sorrid picture of a crime-ridden upbringing on the streets of Georgia. His many stories were all complete fiction. US Immigration and Customs Enforcement (ICE) said: "His whole public persona is false. 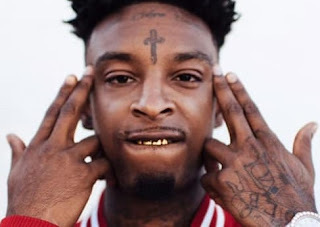 He actually came to the US from the UK as a teen"
21 Savage has been nominated for two awards at the 2019 Grammys, including record of the year for Rockstar with Post Malone. The track reached No 1 in the US and UK singles charts. He likely won't be present for the award ceremony as he waits in a jail cell for his deportation.